ICPRB’s Watershed Connections program links the connections between watersheds, land use, and water quality, using a watershed model to demonstrate historical land use, water pollution, and best management practices. 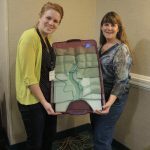 Learn how to build your own watershed model and download the lesson plans below. The instructions and lesson plans for building and using your own Watershed Connections Model are below. 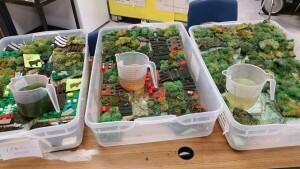 While meeting multiple environmental literacy and curriculum requirements (listed in the lesson plan), students can use the model to investigate numerous topics, including historical land use, water pollution, and the use of best management practices. 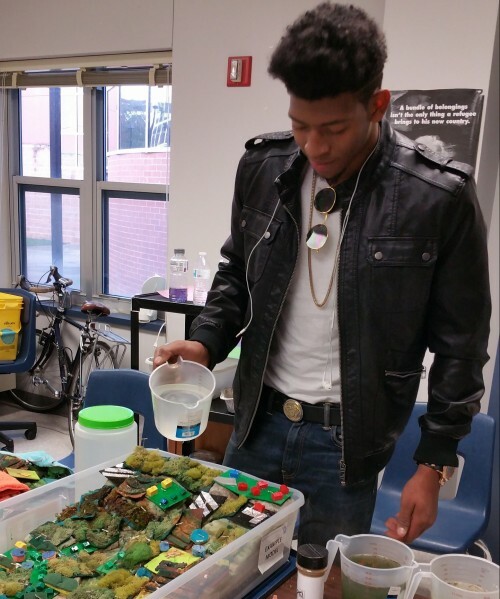 From grades 2-12, teachers are finding these models support lessons in the water cycle, ecology, sociology, and more. Discuss why a watershed perspective is needed to restore or protect water quality. Describe how different land uses affect the water cycle. Describe how impervious surfaces affect stream ecosystems. List sustainable practices students can undertake to reduce stormwater runoff. Activity 3: The Beginning of the New Millennium, 2000 and Beyond!